Dr. B.S. Abdur Rahman, well known personality in the field of Education, Economy and Industry and a Philanthropist of par excellence, hails from Kilakarai, Ramanathapuram District, Tamil Nadu. Besides his business activities he concentrates on the upliftment of the economically weaker sections and minorities through education, employment, health facilities and rural development. At present he pays more attention on “Women Education”. His large heartedness and for sightedness have produced many a institutions of excellence, through which his services continue to benefit the poor, downtrodden and the under privileged sections of the society. Aligarh Muslim University students union conferred in the Honorary Life Membership in the presence of Prof. Fariqui, Vice Chancellor and Prof. Abdul Hasn Siddique, the Pro. Vice Chancellor of the University. He feels that education is the key that opens the solutions to the socio economic problems pf the society. Hence he founded the following institutions through which all his educational and literacy activities are carried out. 1. Crescent Residential Matriculation Higher Secondary School Vandalur, Chennai 600 048 (1968) A fully residential school that caters to the needs of children from India & abroad. The first educational institution started by him. 2. Crescent Matriculation Higher Secondary School for Girls, Chennai 600 006 (1976). 3. Nagore Crescent Matriculation Higher Secondary School for Girls, Nagore 611 002 (1992). 1. Thassim Beevi Abdul Kader College for Women, Kilakari. This college for Women is situated at Kilakarai, Ramanathapuram District. The long felt need of the people in this remote rural area is fulfilled by the establishment of this college. 1. 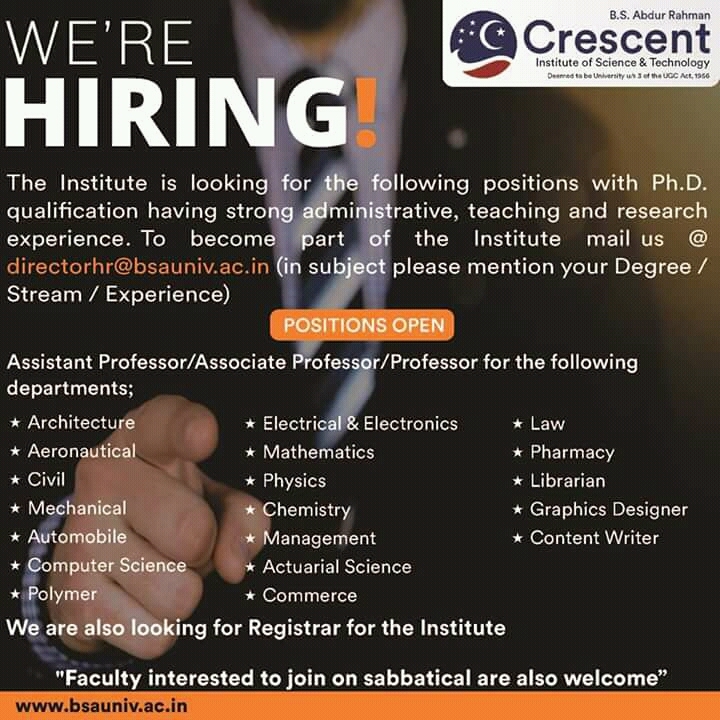 Crescent IAS and Career Guidance Academy, Chennai – 28 for IAS, Professional Courses entrance exams (1994). This center guides and trains the bright students from the economically weaker sections & minorities for all the competitive examinations. 2. Islamic Studies & Cultural Center, Chennai 6. The library besides being a public library offers facilities for research, organizes weekly book review meetings and publishes books. c. Indian Publications Ltd., New Delhi. 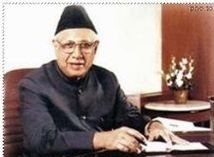 To provide better medical facilities to the rural masses at their door step, he started a well equipped hospital at Kilakarai, which was inaugurated by Mr. R Venkataraman the then President of India. Besides he has assisted many such hospitals in various other villages. This hospital has out-patient and in-patient facilities, clinical lab with all diagnostic equipments. The hospital is conducting regular medical camps in rural and remote villages, to provide easy accessibility to the medical facilities available in towns and cities. He feels that a sound mind in a sound body is a healthy trend of development of the youth in this country. Hence much importance is being given to NSS, NCC, Scouts and other youth activities in all his institutions. Hence to promote sports activities and to imbibe sports culture in the minds of youngsters, he constructed and donated a stadium with all facilities for indoor games, gymnasium and a gallery to Tamil Nadu Govt. under the purview of Sports Authority of Tamil Nadu during 1997. The stadium was inaugurated by Prof. A Anbazhagan, Hon’ble Minister of Education, Govt. of Tamil Nadu, in the presence of Shri. Dhanushkodi Athithan R, Minister of State, (Department of Youth Affairs & Sports ), Government of India. The stadium was named as Seethakathi Sethupathi Stadium, which depicted a touch of communal harmony in the minds of the people. He is the founder of UNITED ECONOMIC FORUM through which he has organized number of economic development activities and encouraged social work. He has founded and financially aided the following Orphanages. 4. Al-Mumin K.T.M.S. Hamid Children Home (Girls), Kilakarai, Ramnad District. 5. Al-Mumin Malik Dinar Children Home (Girls), Thiruvithancode. Sponsored by the Seethakathi Trust founded by him. This conference was held at Kilakarai from 30th December 1990 to 1st January 1991. The conference inaugurated by Dato Samivelu, Minister of Malaysia was well attended by Tamil Scholars from different of the world, namely Srilanka, Singapore, Malaysia, Hongkong and U A E. The three day conference had different sessions on various aspects of Tamil Literature and nearly 24 books were released. The valedictory function was presided over by Dr. Kalaingar M Karunanidhi, the then Chief Minister of Tamil Nadu. Sponsored by the Seethakathi Trust and All India Islamic Foundation founded by him. This conference was conducted at Cresent School Campus, Vandalur, Chennai – 48, from 21 to 23 December 1996. It was inaugurated by Prof. K Anbazhagan under the Presidentship of Justice Fathima Beevi, former Governor of Tamil Nadu. The conference concentrated on the topic namely “Education, Employment and Entreprenuership of Muslim Women”. This conference was well attended by Muslim women from India and abroad. The valedictory session was presided over by late Thiru G K Moopanar, M.P., Dr. Thahir Mahmood, Chairman, National Minorities Commission gave the valedictory address. A Bi-monthlly magazine iln English, published from New Delhi being promoted by Mr. B.S. Abdur Rahman Serving the cause of our nation in general and weaker sections in particular.